Super delicious yet a powerful anti-inflammatory and metabolism boosting nutrition! To me, healthy food just tastes so damn good! It really doesn’t have to be boring. And spices are nature's natural health boosting agents that also pack an amazing flavour punch. 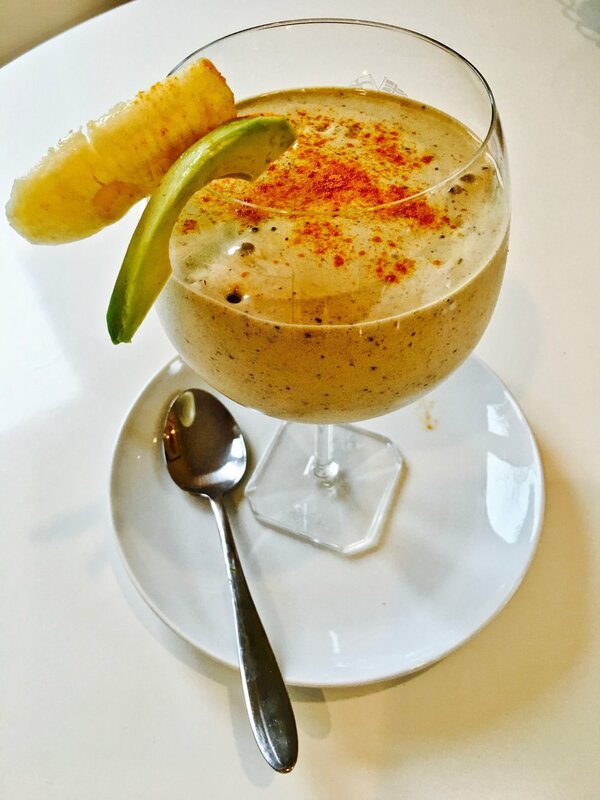 The 4 key spices in my smoothie are cinnamon, turmeric, ground ginger and... cracked pepper! I'm learning the 4 of them together are a powerhouse of natural remedies to help reduce inflammation in the body and promote brain health! Errr....yes please! I can't take most over the counter pain killers. I'm allergic to the binding ingredients in the pills, not the pain killer itself. This seems to run in the family on my dad's side. So I've sort out natural alternatives. 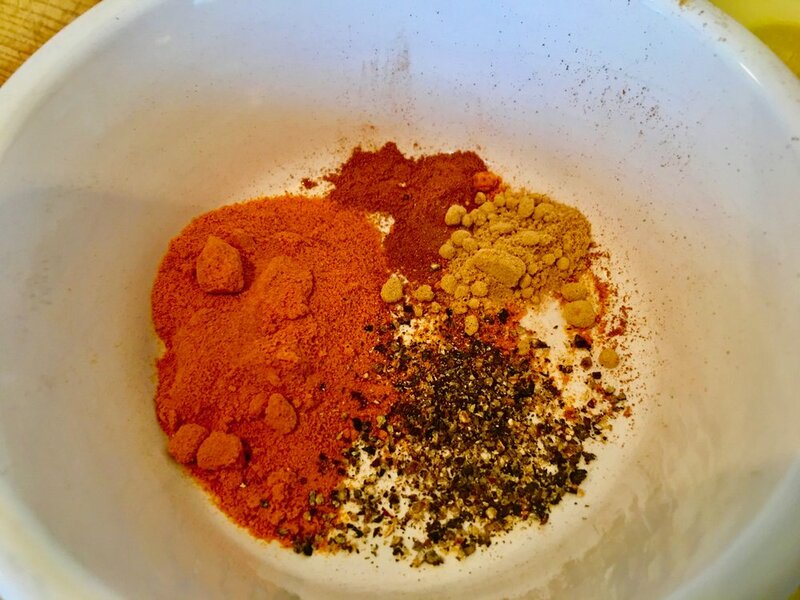 I recently discovered how powerful turmeric is in helping reduce inflammation and pain in my lower back! So lately, I've had a big tablespoon of turmeric powder a day. For me, the difference is truly remarkable. I wanted to make quick meal for lunch that is full of anti-inflammatory nutrition to help with the rehabilitation of my lower back pain, and given I'm sitting a lot at my laptop at the moment, I want it to contain high quality protein to help keep my metabolism fired up to burn fat while I literally... do... nothing! Seems too good to be true right? It’s really not. This is natures answer to quick and easy optimum health in a glass. Throw it all into the blender until thick and smooth. Pour into a large glass and either spoon out like a dessert or drink like a thick shake. So good.